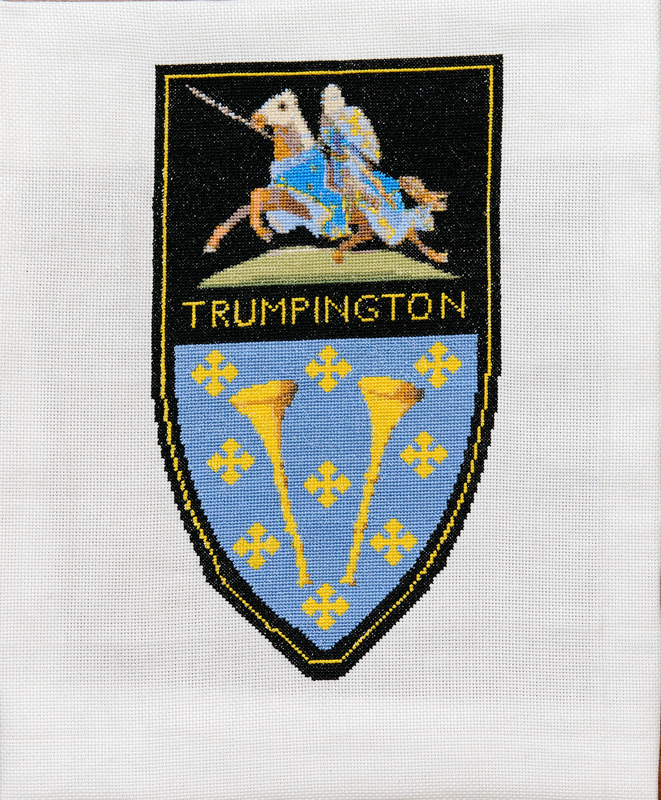 I wanted to do something that made people stop and think so I chose the Trumpington village sign, which has the crusader knight Sir Roger de Trumpington on it. The lady who designed the sign still had all the original drawings, so we sent those away to get a cross stitch pattern made up. I started work on the panel in March 2016 but then I got very ill and I never thought I’d finish it. I started chemotherapy and intensive radiotherapy, which made my hands hurt so much. I couldn’t bear to touch anything but I was determined to finish my panel. 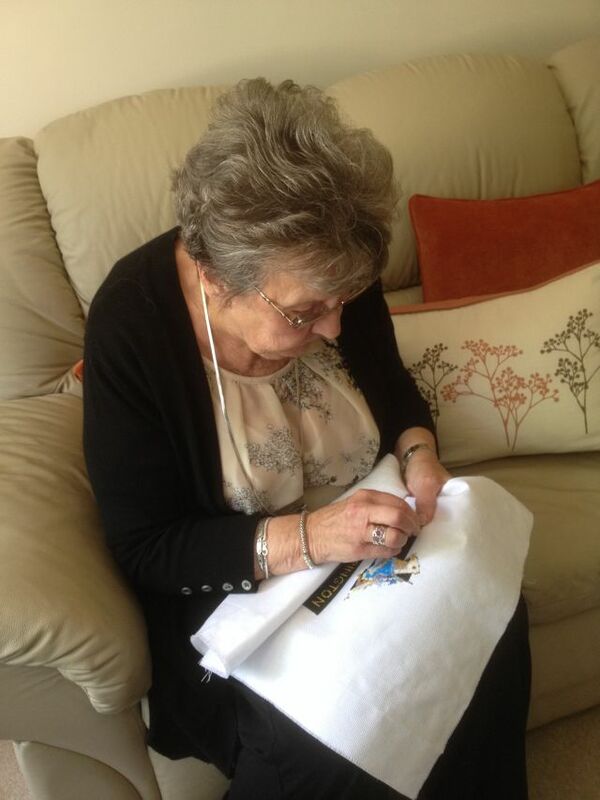 When I got out of hospital, I started doing just one needleful of thread every day. It was so painful because of my hands. But it did me good. It gave something to do amongst all the horrible things going on. I didn’t want to give in. I wanted to give something back to the village. I finally finished my work on it in December 2016. It was quite an achievement through the worst year of my life. When it was finished, I didn’t want to part with it! I used cross stitch, which I’ve been doing since I was at infant’s school. I used to do it while my husband was watching Sky Sport, when he was alive. I like doing it because you can pick it up and put it back down again when you like. It was quite an intricate pattern with lots of different colours. For the horse’s eye alone I did seven stitches in nine different colours! Ann made the panel from a kit produced by photo2stitch from an original design by Sheila Betts.